Despite sharing my #2017bestnine and Best of 2017 blog posts, which are all about the numbers, of course there was much, much more. Any maker, I think, will have those projects and opportunities (and yes, challenges) that mean something to them that no one else can see. That's just the nature of creating. That said, here's some of what made 2017 especially memorable for me. 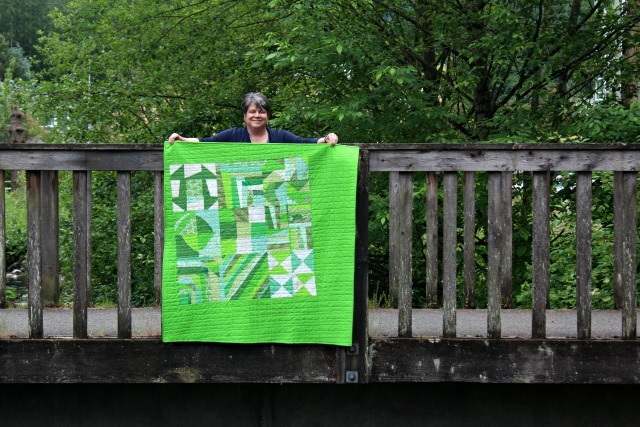 Teaching an improv piecing class at Gossypium locally, and then traveling to Victoria MQG to share a trunk show were firsts that stretched and delighted me. More similar opportunities are scheduled for the new year, and preparing for them will consume much of my behind-the-scenes creative time. I'm excited and nervous. 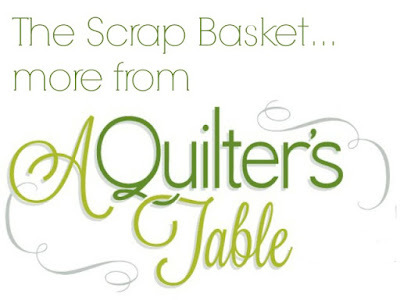 My bi-monthly newsletter, The Scrap Basket, topped 3000 subscribers and continues to be an enjoyable way to connect with my followers. Chatting with Pat Sloan on her podcast was simply a blast. I was stunned when she invited me on the show, and as nerve-wracking as it was, it was such a privilege, and afterwards, I was buoyed for days. On a whim I joined in on the #pinnieparade, and crazy as it sounds, it was such a fun diversion! Consciously focusing on a new, small project every day was intense and rewarding. 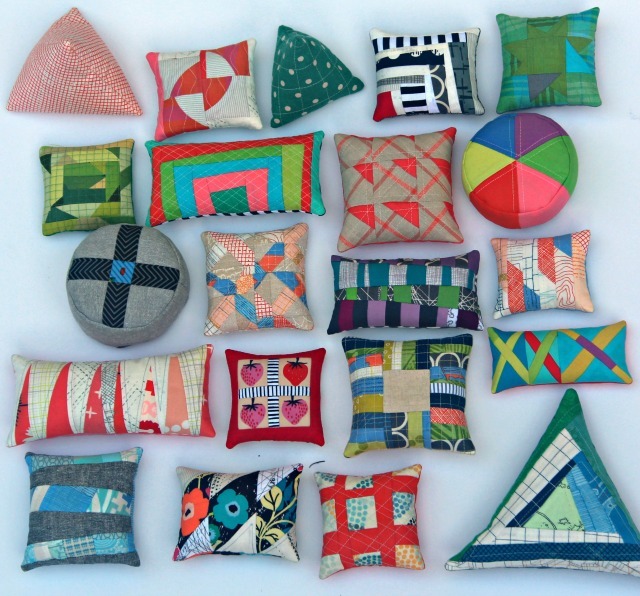 I tried so many pin cushion patterns, made up my own designs, used up scraps galore, and the best fun of all, gave most of them away. 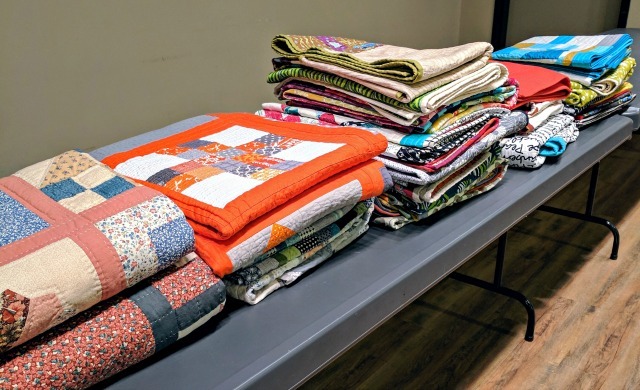 As far as quilting itself goes, I especially loved dabbling in a range of improv. I purposely tried techniques I never had, explored several unique palettes, and just went with the flow again and again. This kind of creating takes me to such a fulfilling place. And one of the things I was most excited about is something I haven't even had the chance to share with you yet - but soon!! I contributed an article - and project! - to Issue 2 of Curated Quilts, which ships next week. I can hardly wait! Whew. Lots of good stuff. There was plenty more of course and I truly could go on and on. 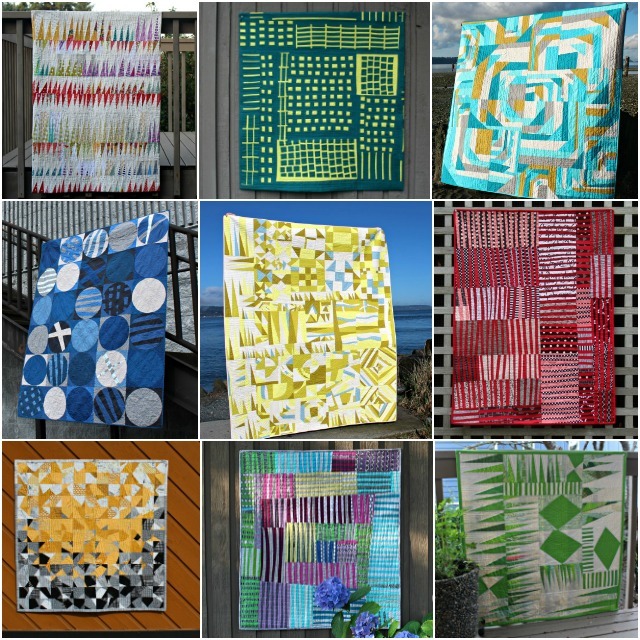 Being a member of both the Seattle MQG and the online quilting community has continued to inspire and affirm me, and indeed, all of you feel like an essential element in my work as a creator. Ok, enough already. It's been an unquestionably good year. Thanks for being a part of it. what a great year! Can't wait to meet up with you in 2018! I can't wait to see what you create in 2018! I enjoyed your radio talk with Pat Sloan. You’ve had a great year Debbie! 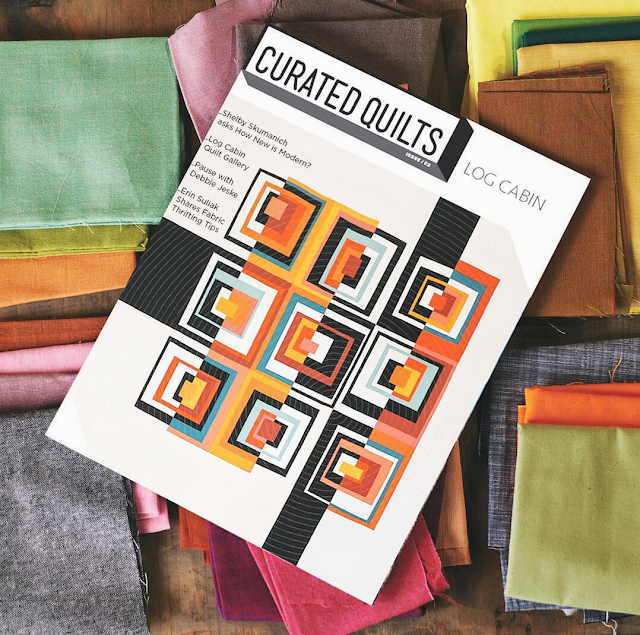 I look forward to seeing your contribution to Curated Quilts magazine! It has been a great year for you! 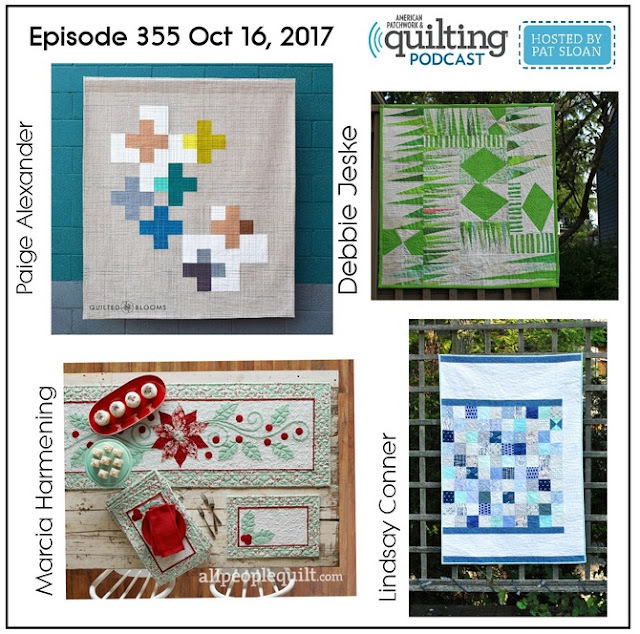 May your quilting continue to delight and fulfill you and your opportunities continue to rain down! Wow!!! There is no moss growing under your feet. You amaze me with your productivity. Balance that with your creativity and I think we should crown you "Quilting Queen". You continue to inspire me, Debbie! Thanks so much for your continuous support and beautiful projects! I can't wait to meet you next year at QuiltCon! Happy new year to you and your loved ones! I loved following you throughout the year and I'm looking forward to seeing what comes next !